Today's greatest challenges, from climate change to poverty, inequality to displacement, natural resource depletion to overpopulation, are global in nature and interconnected. Millions of people around the world would like to be part of the solution, to be the change they wish to see. Countless organizations and institutions are working on these issues, yet many of them are still looking inward, pursuing narrow interests within national, cultural, academic and economic boundaries. At the Melton Foundation, we believe that the problems currently facing humanity can only be solved by working together across industries, sectors, cultures, and geographical boundaries to find solutions that benefit everyone. How do we foster Global Citizenship? We foster global citizenship through an international, lifelong network of more than 500 fellows based in more than 20 countries. We recruit our fellows from our 6 partner universities in Chile, China, Germany, Ghana, India, and the United States. Fellows begin by participating in a learning program, both online and offline, in which they are trained in various skills including project planning, cross-cultural communications, design thinking, and storytelling. The program enables Fellows to develop the skills and identify the tools they need to become better, more effective global citizens as they work towards lasting social change on local and global levels. Following successful completion of the program, they are able to create or join projects within our network. The Melton Fellowship supports emerging changemakers and problem solvers throughout their academic and professional careers and beyond. 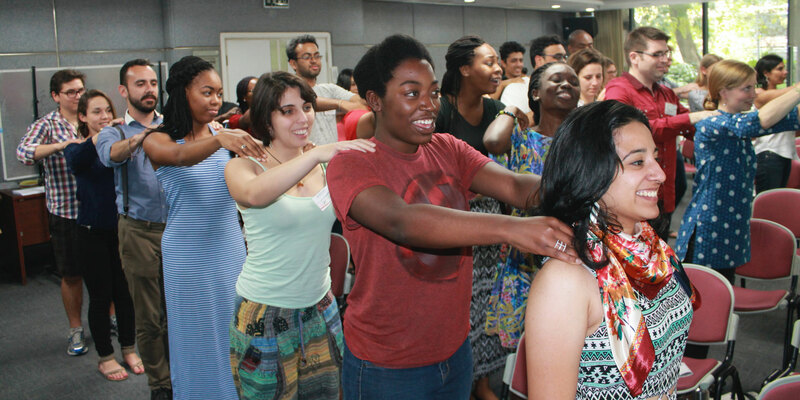 By modeling global citizenship – whether in their communities or abroad – and by connecting to other similar-minded individuals through a “network of networks”, our fellows create and expand perspectives on pressing global issues while contributing to a culture of collaboration and trust throughout our societies.